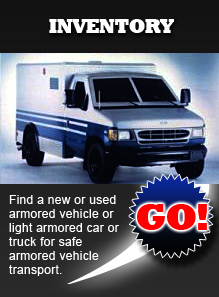 Look to The Armored Group for the finest selection of used armored vans for sale or lease. Our selection includes the Ford E-350, Chevrolet vans and more; all of which can be used as armored SWAT vans, for cash transport and for a variety of other scenarios. We are a highly respected armored car company with well over two decades of experience and an international clientele. We customize our armored vehicles based on the specifications of the client. All of our clients have unique security needs, and we are committed to knowing your operational procedures inside and out. Furthermore, we used the most advanced technological and engineering tools available to us. Our clients cannot afford to have a lapse in security when it comes to their vehicles. They know that they can depend on us to provide vehicles that perform their best when threat levels are at their highest. 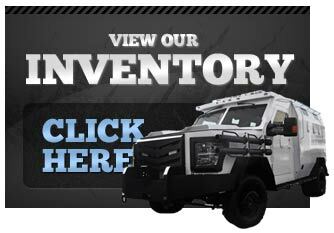 Learn more about the new and used vans available in our inventory. Our selection of used armored vans for sale allows us to provide for clients at a variety of budgets. The Armored Group strives to offer a versatile inventory, and does so better than any other armored car company on the market today. Our clients reside in some of the most dangerous spots in the world, and need vehicles that will allow them to carry out their responsibilities while offering their crews and cargo the utmost in protection. Our attention to detail and commitment to pushing the envelope in terms of the vehicles we provide is what allows us to remain at the top of our highly competitive industry. If you are in the market for used armored vans, or for any other type of new or used armored vehicles, make your first call to The Armored Group.